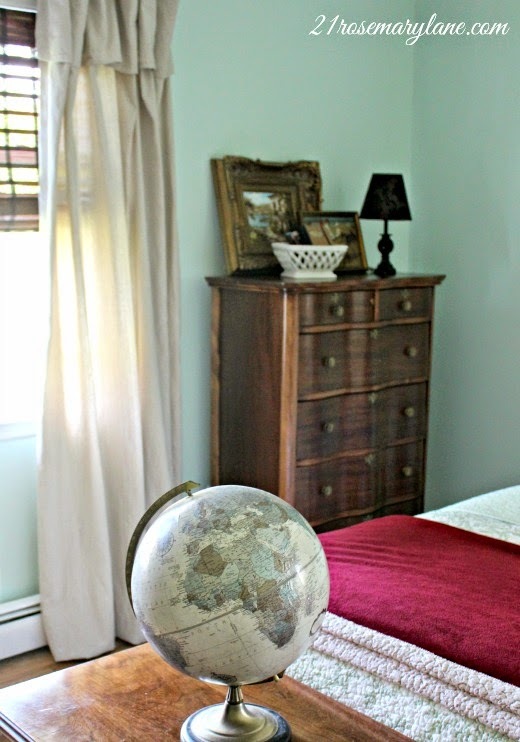 I am still chipping away at the guest bedroom project. I finally got the entire room painted and finished putting up the new window treatments. 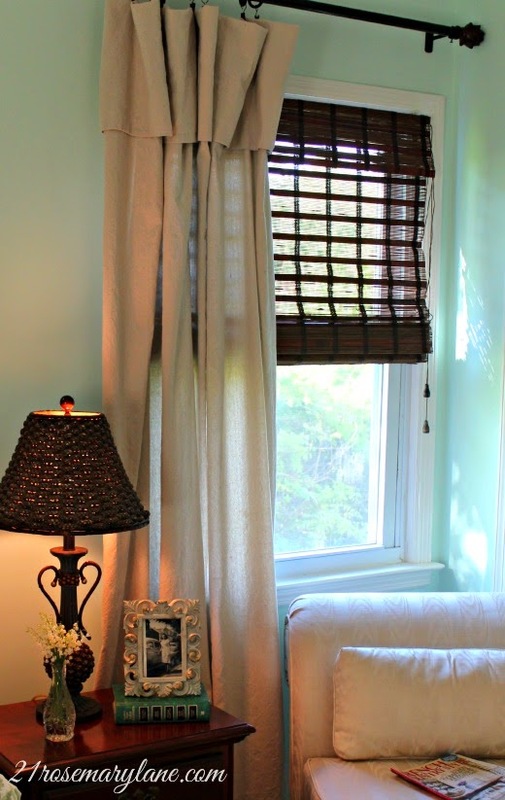 They are comprised of semi-private bamboo blinds which I really like, and the good old drop cloth drapes. Last weekend we moved a bed into the room along with the nightstand and blanket chest from our bedroom upstairs. We also brought in a sweet slipper chair a friend had given me a few years back. I then moved in a piece from the office which houses my table linens for the dining room. I felt like the room's furniture arrangement needed to be balanced out on the left side of the bed. We had this piece refinished when Mr. RL and I first were married. It belonged to Mr. RL's mother and has been traveling with him since he left home. 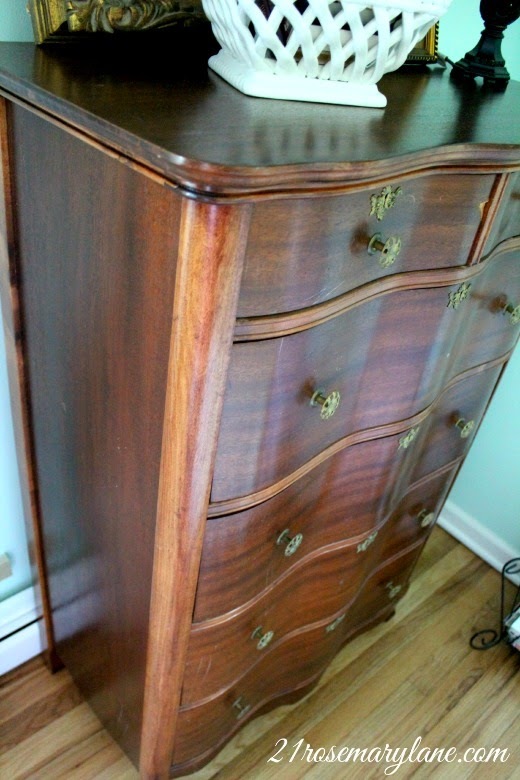 When I first saw the dresser I fell in love with it despite all the dings, dull finish and yes even the tic tac toe game Mr. RL and his brother carved int one of the drawers when they were just boys. When we took it to be refinished the fellow at the shop told us that this was a "Gentleman's" Dresser and most likely dated back to the mid to late 1800's. 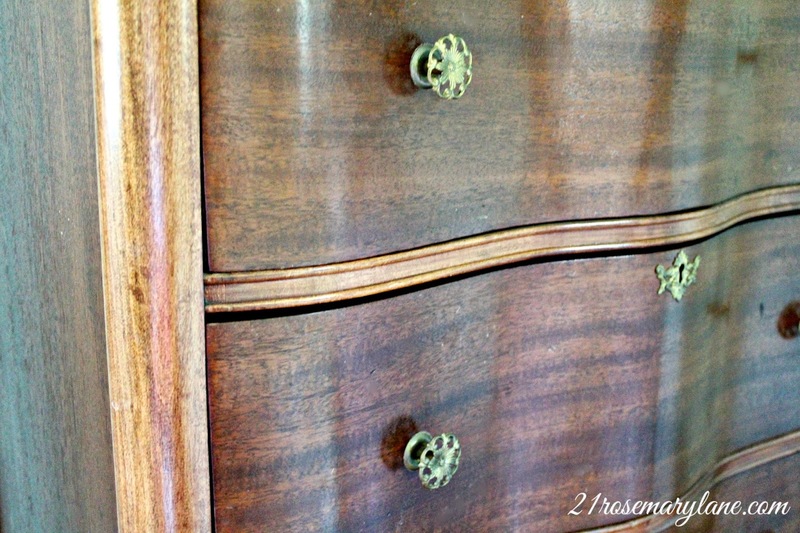 It is made of poplar and mahogany and has what is called a serpentine front. 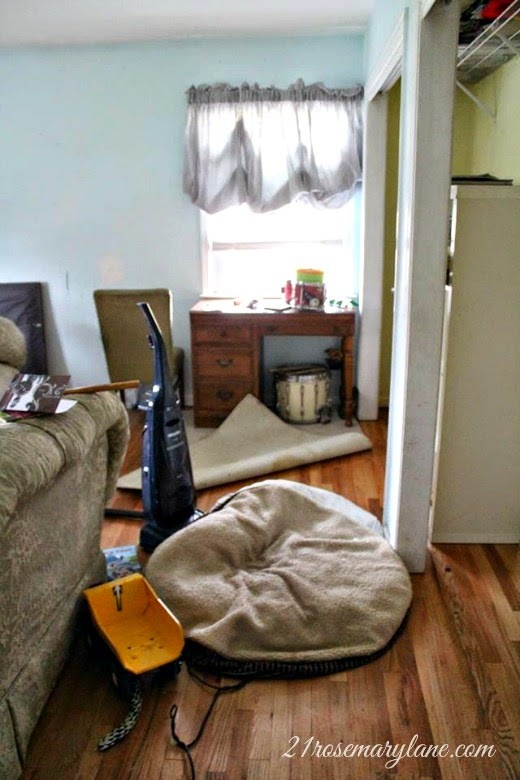 So do you want to see some of what the room looked like before I started to work on it? New closet doors are slated to be installed and painted plus I'd want to replace the old broken ceiling fan. I have a nice size dresser out in the garage that needs a new finish and will eventually be placed on the wall opposite the bed. 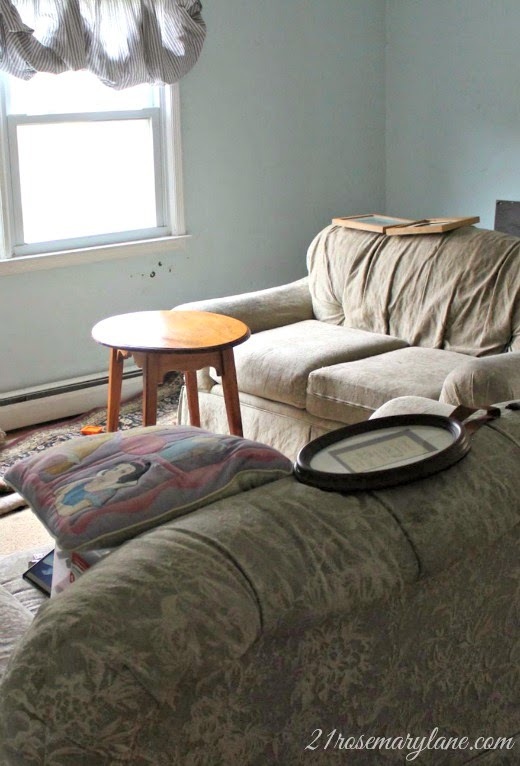 There is still one couch left in the room which at some point will be moved out to make room for the dresser. But all in all it is coming along the way I wanted. I plan to have this room all done before my parents come up from Florida the beginning of June. They will finally have their very own adult room on the main floor of our home, so they will no longer have to climb steps and share a room with one of my two kiddies. What projects do you have going on these days? I know I am anxious to finish this room and get outside so to spend some time gardening. Wishing you all a wonderfully productive week! You've been busy and your parents will love having that room to stay in. Looking real good my friend!! I LOVE the hubby's dresser! 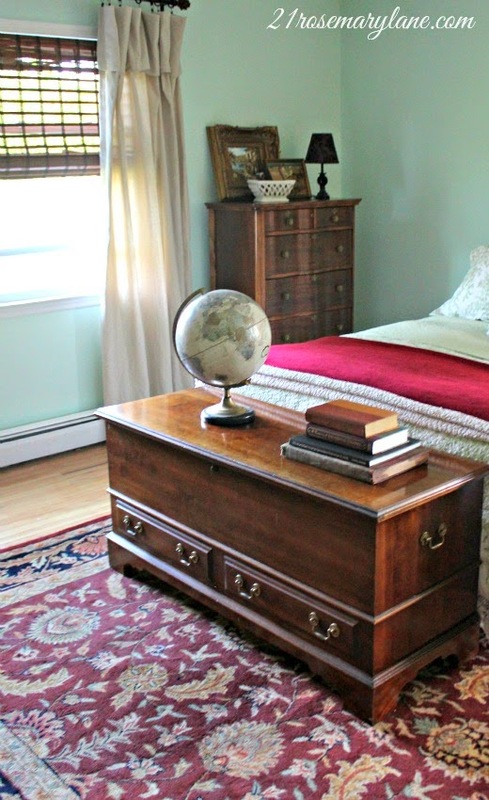 The room looks really good and I love the dresser. 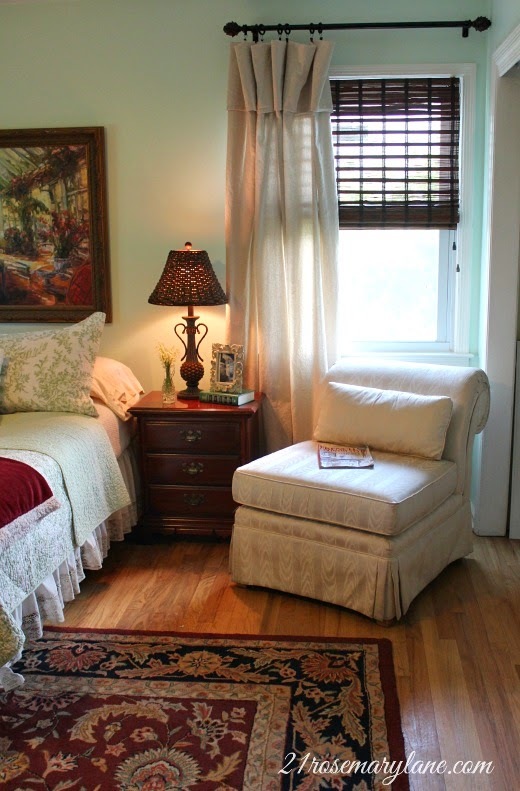 Your parents will love not having to climb up stairs and will be so comfortable in that lovely bedroom. What a great job Barbara, I love all your choices. I want to come and stay for a bit, it is that cozy!! Great for your parents nice and relaxing. Love that piece that had redone. Barbara...great job! 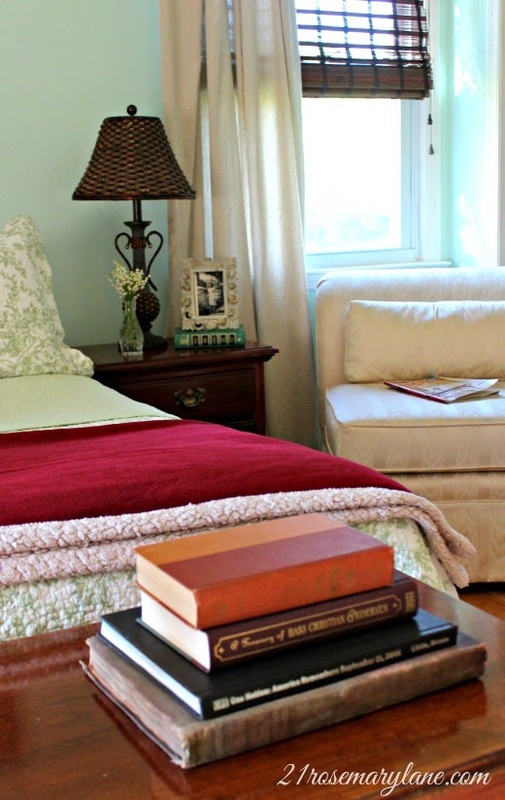 Love what you did..
No Sew Drop-Cloth Drapes ~ They Really do Work!